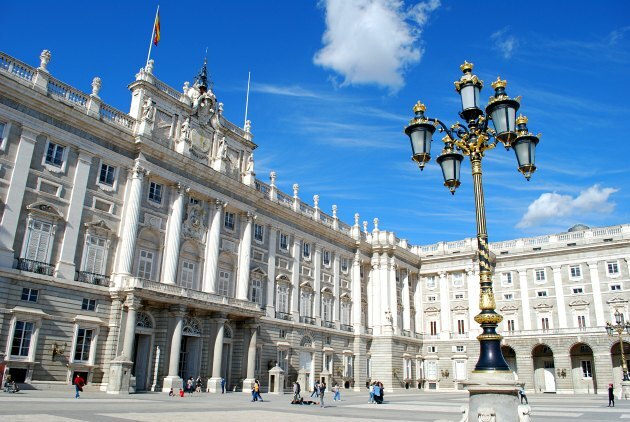 The Royal Palace in Madrid (Palacio Real de Madrid) dates back to 1764 and was built on the site of the old palace which had burnt down some years before. It’s still the official residence of the Spanish King and Queen and as such there are occasions when the palace is closed to visitors for official functions. 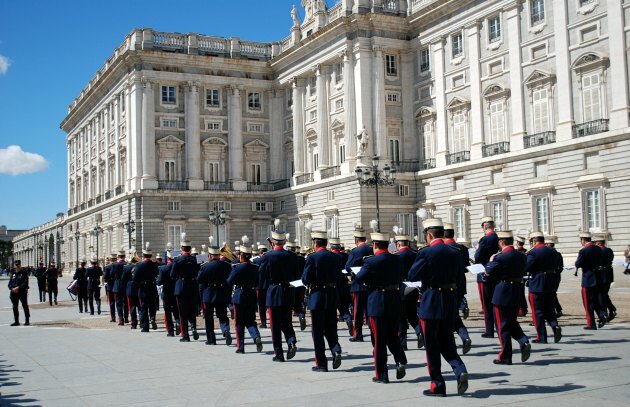 The palace is also served by the Royal Guard and one of the best free things you can do in Madrid is watch the ‘Solemn’ changing of the guard which takes place on the first Wednesday of the month at 12pm (except January, August and September). This is a major occasion with marching bands, horses and soldiers in full uniform (pictured above). A visit to the palace starts near the main gate and we’d advise buying your tickets in advance to avoid the sometimes lengthy queues. Once inside, you are free to wander around at your own pace. You will be given an information leaflet about the artworks in each room, although we found the signboards in each room more useful. Don’t bother with the audio-guide. 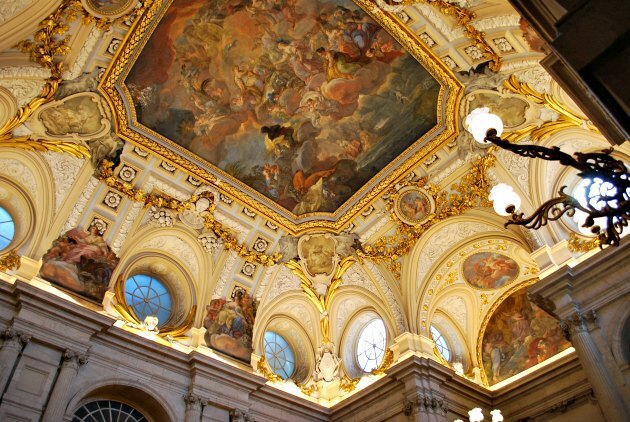 As you enter the main staircase, don’t forget to look up because the ceiling here is magnificent (pictured below). This is the last room you will be allowed to take photographs in and the staff are militant and rude if you break this ridiculous rule. You will see 23 rooms in total making up the state apartments. 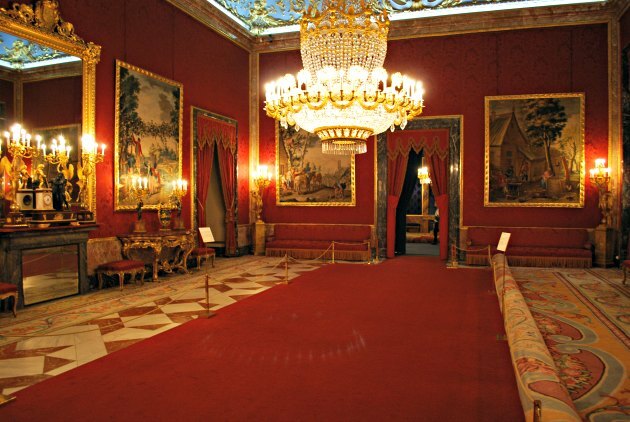 There are a number of notable ones including the Hall of Columns, the beautiful Royal Chapel, the Throne Room and the striking room of red which is the Official Saleta (pictured below). Here there are royal tapestries on the wall and a beautiful painted ceiling. 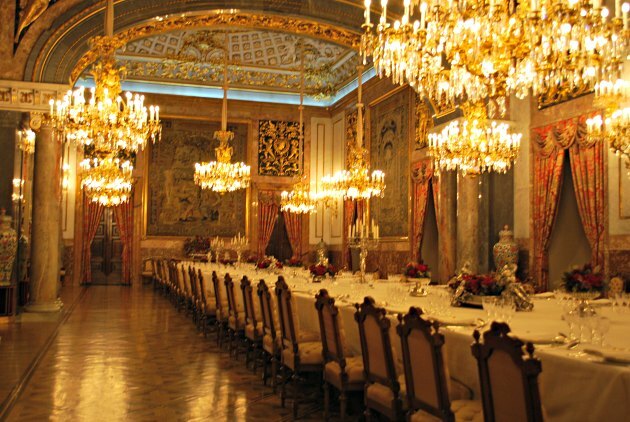 The rooms are all ornate and highly decorated with impressive features. The size of the dining table in the Banqueting Hall is unbelievable! (pictured below). What is also striking is the number of rooms which are not open to the public. It’s a shame there is no access to some of the service areas, or a glimpse into the way the royals live today. When you have completed your self-guided tour, you exit down the same staircase. From here, you can go around again if you like, before exploring the outer courtyard which has a viewing area over the Campo Del Moro Gardens.